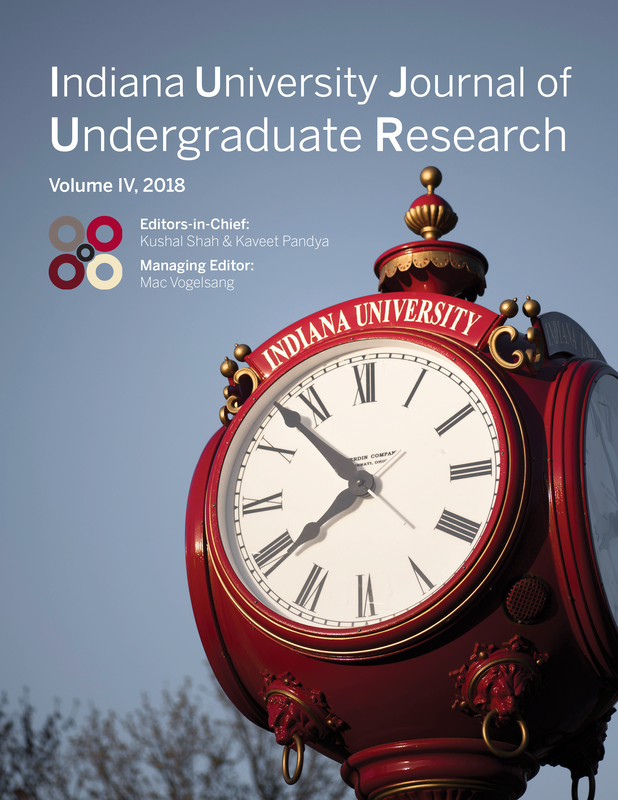 The Indiana University Journal of Undergraduate Research (IUJUR) is a student organization supported by the Office of the Vice Provost of Undergraduate Education. It publishes an annual research journal featuring undergraduate research conducted across Indiana University's eight campuses. Food Access in the Age of Online Grocery: An Evaluation of Current Retail Trends and Their Potential to Alleviate Food Deserts in the U.S. One-for-One Companies: Helpful or Harmful? "Ewondo in the Classes, French for the Masses"
Increasing Awareness of Substance Abuse and Addictions: Does Early Childhood Drug Education Provide Diversion from Using Drugs and/or Alcohol?